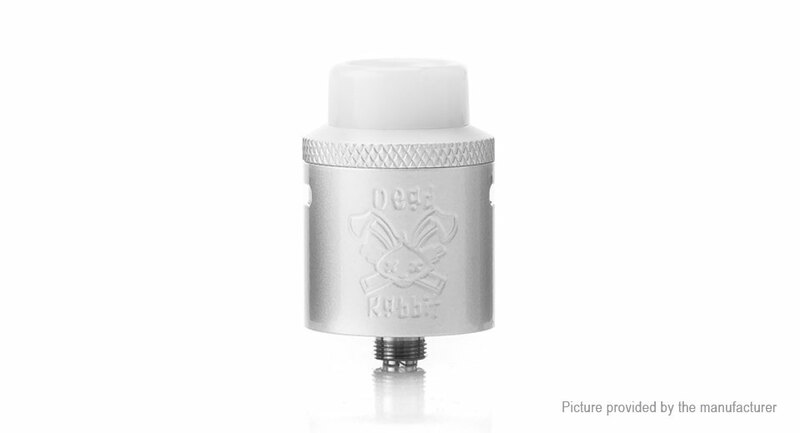 The Authentic Hellvape Dead Rabbit RDA is a 24mm diameter RDA with ample build space and generous post holes. The slide in top coil deck takes the guesswork out of pre cutting your coil leads. It comes with adjustable top side diagonal airflow to create massive flavor and to minimize leaking. The protruding 510 pin and peek insulation makes it really friendly to mechanical mods.